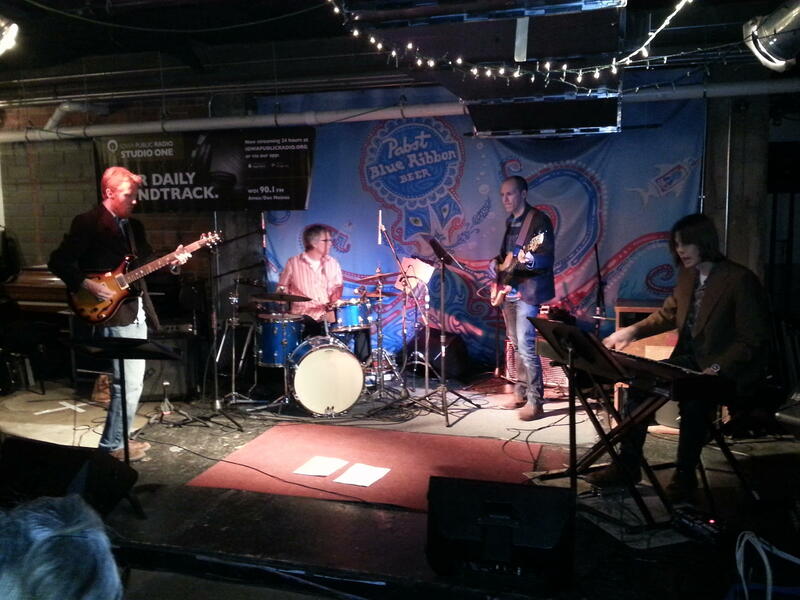 Jim Viner's Incredible B3 Band performing live at the Des Moines Social Club on IPR's Studio One Tracks. Iowa City drummer/composer Jim Viner (Brother Trucker, Diplomats of Solid Sound, High and Lonesome) is fronting his own band for the first time. The band is Jim Viner's Incredible B3 Band, and Viner and his fellow musicians lived up to the promise of their name with two sets of expertly played soul grooves on Jan. 7 at The Basement venue of the Des Moines Social Club. The live audience braved the January rain for the show, and were rewarded with a set of Hammond B3-centric tunes from the new album Comango! in the first set. For the second set, Jim Viner's Incredible B3 Band stretched out with some tasty non-album material. Stay dry and enjoy both sets right here! Listen to Jim Viner's Incredible B3 Band's performance from the Des Moines Social Club here.